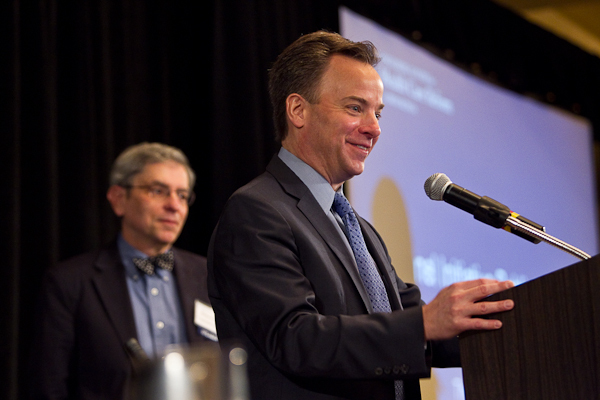 The Engelberg Center for Health Care Reform at Brookings hosted the Fourth Annual Sentinel Initiative Public Workshop on Wednesday, January 18, at the Washington Marriott in Washington, DC. This public workshop brought together the stakeholder community for a productive discussion on a variety of topics in active medical product surveillance, including an update on the U.S. Food and Drug Administration’s (FDA’s) Sentinel Initiative; efforts to support the advancement of safety science; and stakeholder perspectives on the Sentinel Initiative’s progress and future direction. Dr. Stephen Spielberg, the FDA’s newly appointed Deputy Commissioner for Medical Products and Tobacco, provided the morning keynote address. To subscribe or manage your subscriptions to our top event topic lists, please visit our event topics page. Download No thanks, just download the file.